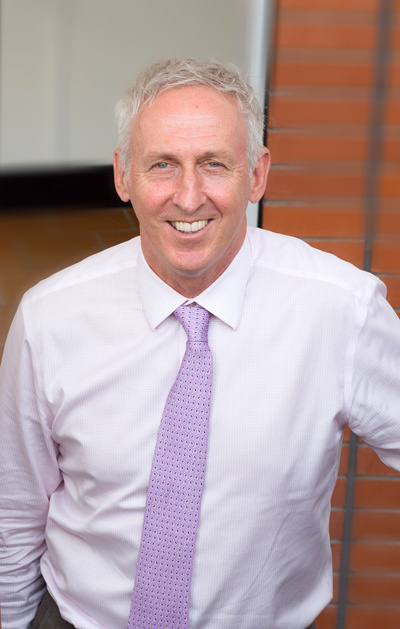 Following an extensive international search, the University of Newcastle appointed Professor Kevin Hall to the position of Deputy Vice-Chancellor (Research and Innovation). An accomplished researcher in the field of civil engineering, Professor Hall has had a distinguished academic career holding senior academic leadership roles in universities in Canada, most recently as the Vice-President for Research and External Partnerships at the University of Guelph in Ontario. Vice-Chancellor, Professor Caroline McMillen, said Professor Hall's outstanding academic leadership experience and strong research record would be key to driving forward the University's ambitious research and innovation agenda. "This is an exciting time to be joining the University of Newcastle. Our NeW Directions strategic plan puts forward a clear set of aspirations and an ambition to be a global leader in research driving world-class innovation." Professor Hall said he was delighted to have the opportunity to work with the talented researchers at the University of Newcastle who hold an international reputation for research excellence. "My aim is to work with colleagues to build on the institution's strong culture of innovation and impact in research and student training, and to engage fully with its diverse partner and stakeholder groups – particularly industry – at the regional, national and international levels." Professor Hall studied a Bachelor of Science and Master of Science at Queen's University in Canada, and completed his PhD in Civil Engineering at the University of New South Wales. As the University of Guelph's Vice-President for Research and External Partnerships, Professor Hall has responsibility for all aspects of the institution's research portfolio including strategy and policy, integrity and compliance, research income generation and stakeholder relations. Under Professor Hall's tenure, research with industry partners increased by 80 per cent. Prior to joining Guelph in 2009, he held senior academic leadership positions at Queen's University including founder and Executive Director of the Centre for Water and the Environment, University Research Fellow and Head of the Department of Civil Engineering.